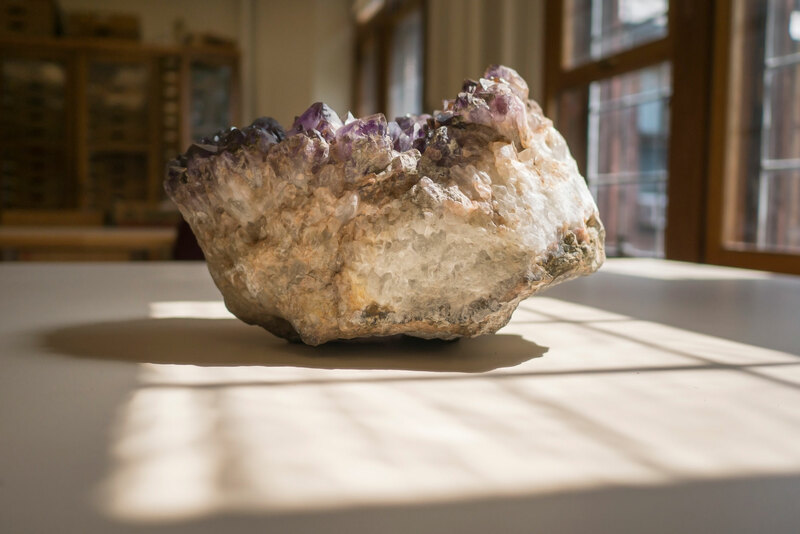 Lining the halls on the third floor of Clapp are more than a dozen glass-enclosed display cases of rocks and minerals, samples from all over the world and as varied as amethyst to marble. 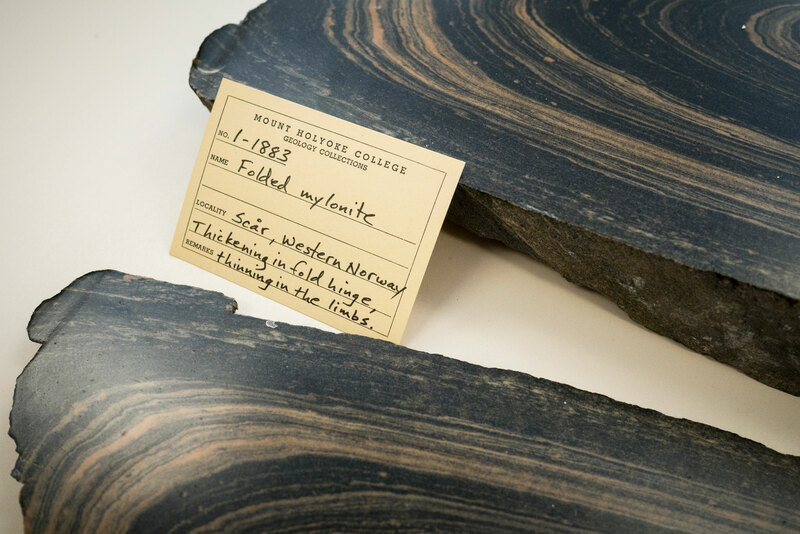 Many more samples are housed in the mineralogy and petrology lab—known to students as the “rock lab” and now located at Clapp 319. 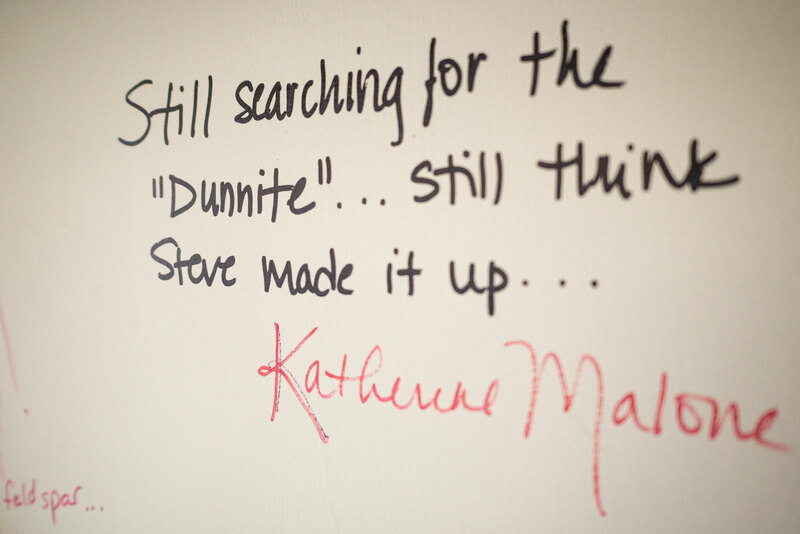 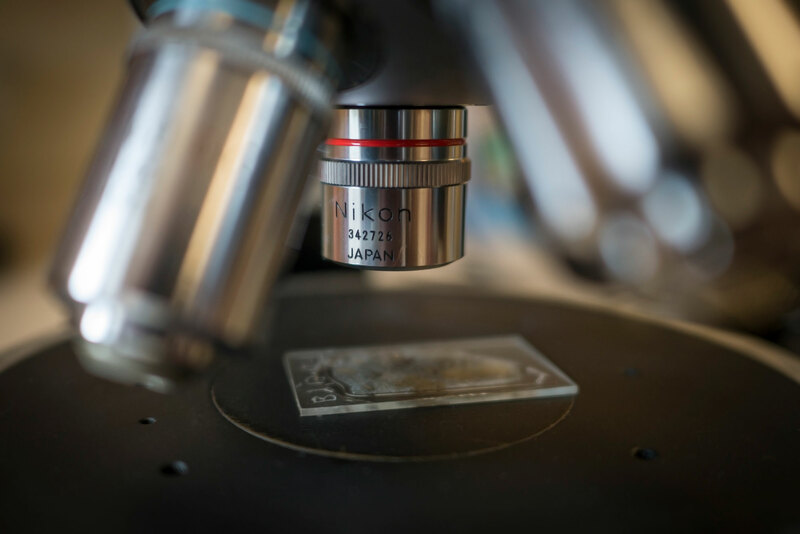 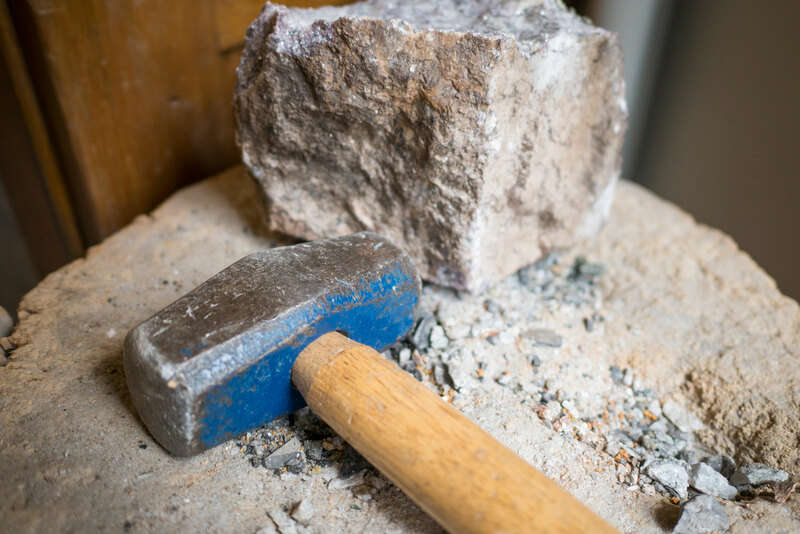 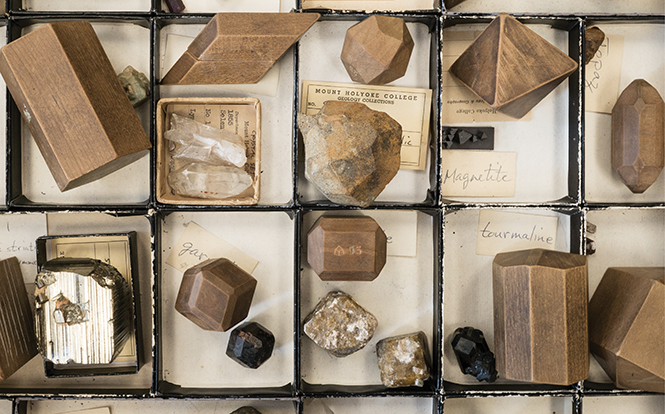 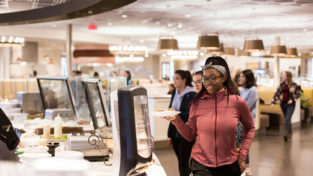 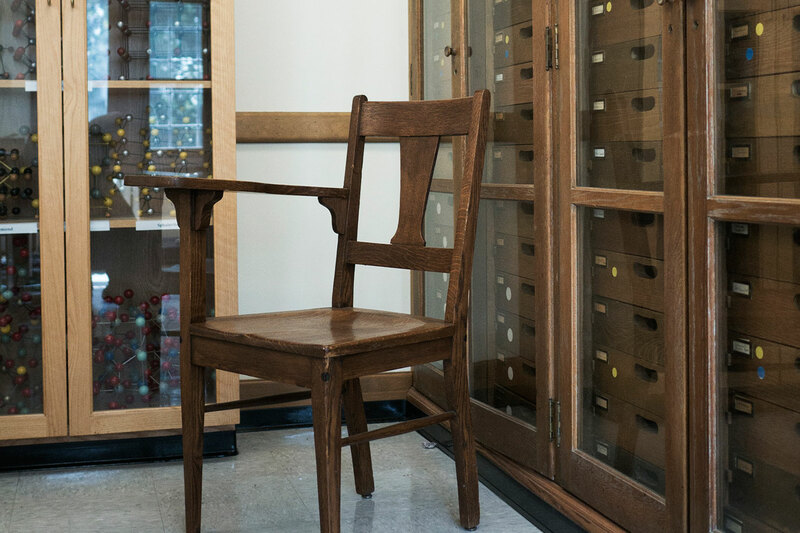 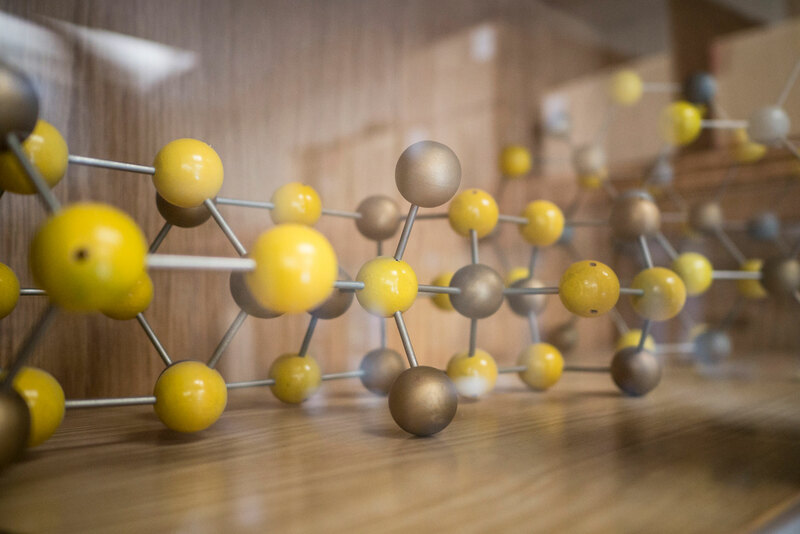 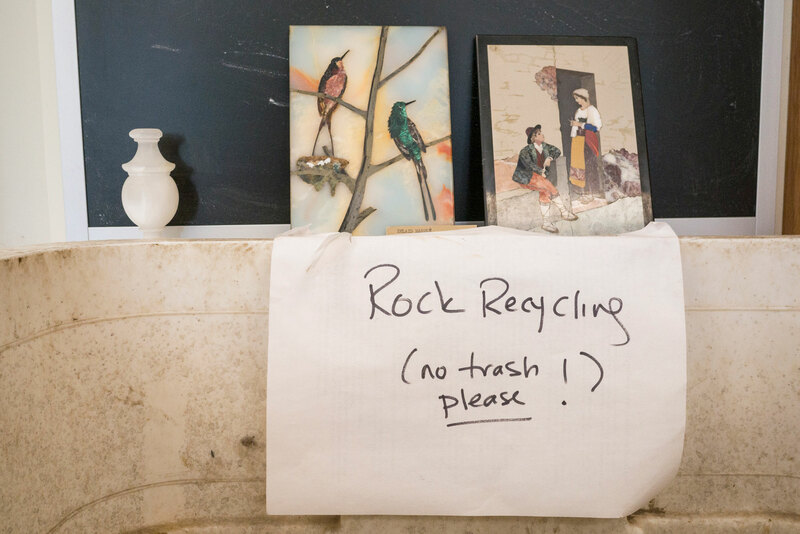 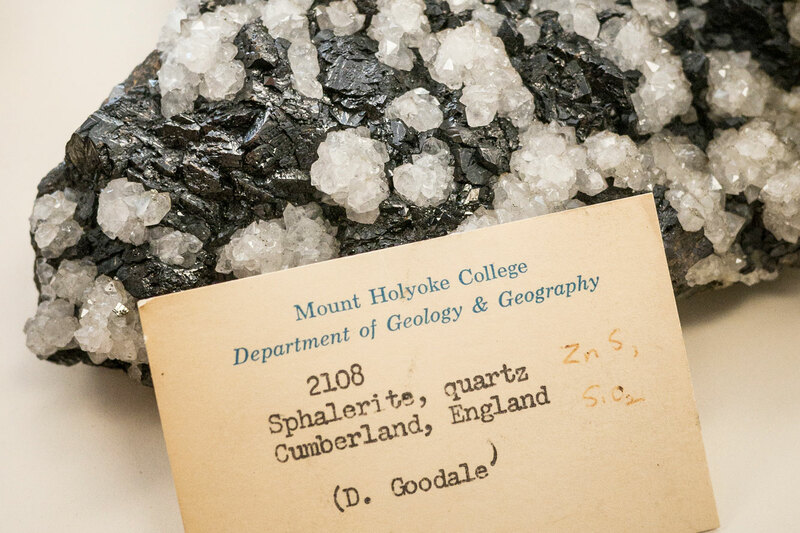 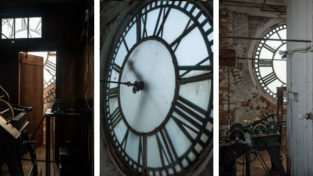 In the past twenty-five years, the lab itself—one of five laboratories used by the department—has been relocated three times, but the iconic cabinets that showcase cataloged samples of thousands of rocks and minerals have been moved each time. 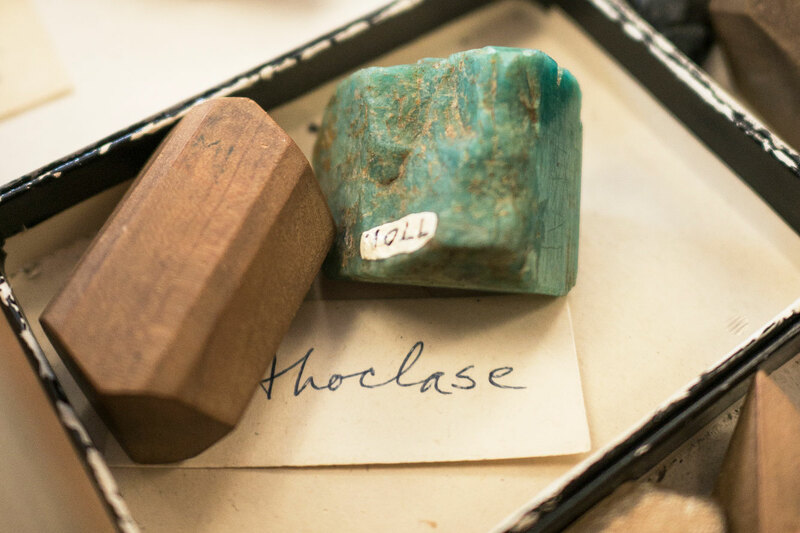 Here’s just a glimpse of some of the varied specimens in a room where first-year seminar students and senior geology majors alike can manipulate and study samples up close. 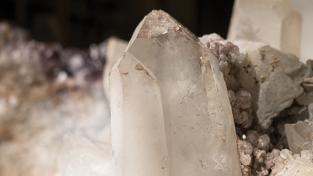 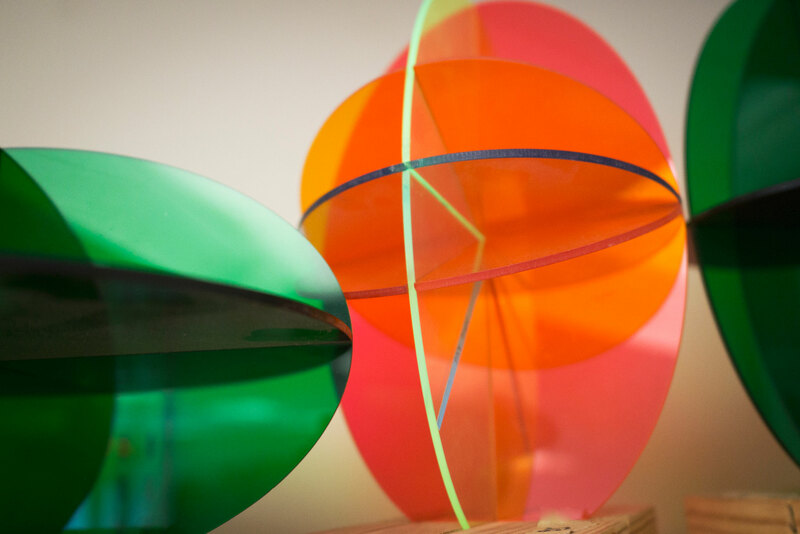 This article appeared in the fall 2014 issue of the Alumnae Quarterly.